This very cute (and very white) dog who broke into a bag of charcoal. 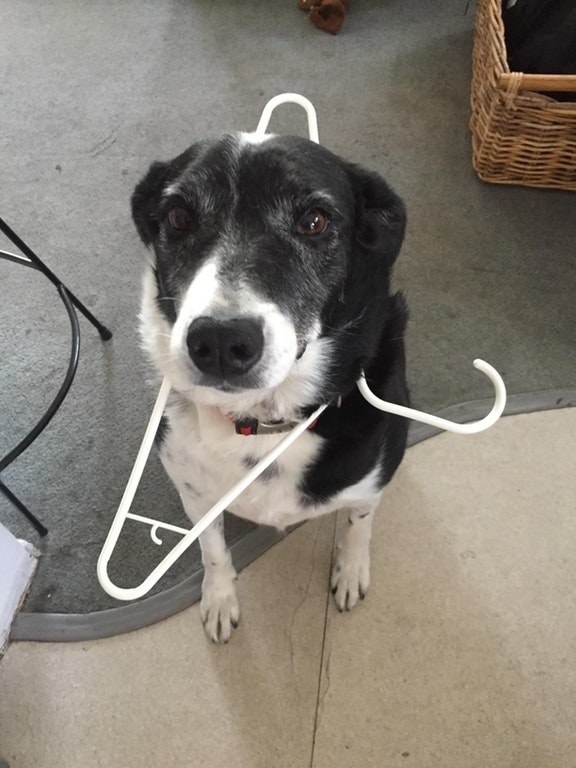 This dog who had to be "freed" after he got "stuck" in place by standing on his own leash. 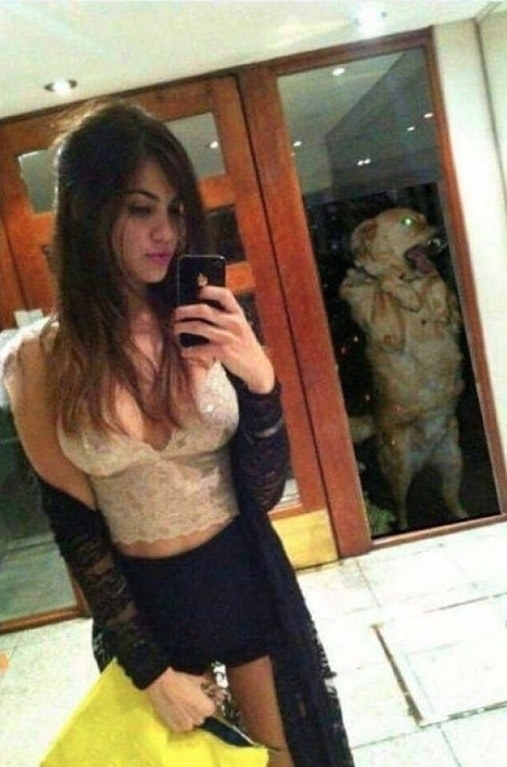 This dog who got a ~little~ too excited when its owner came home. This dog who somehow got into his owner's stash of pot brownies. This dog who was not too happy about his owner going on vacation. This dog who ~might~ have broken the "don't go in the closet" rule. This dog who crashed the family's self-timer photo. This dog who was NOT too pleased about having to leave the park. 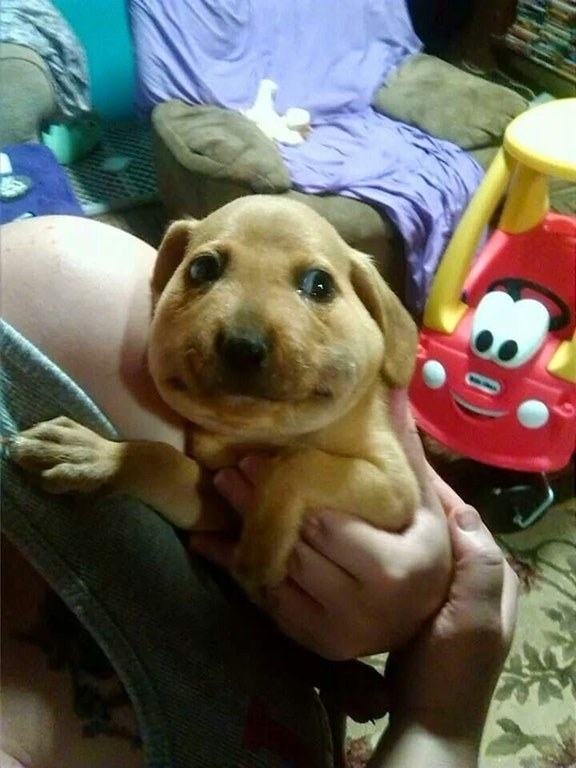 This poor pup who ate a bee, and is now paying the price. 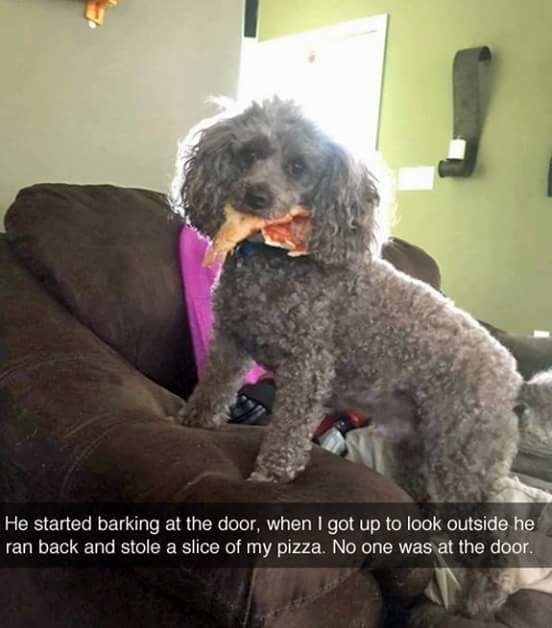 This dog who tried to sneak a few Cheez-Its when her owner wasn't looking, but things got out of hand fast. This dog who could not be outsmarted when his owner tried to mix the healthy food with the yummy food. 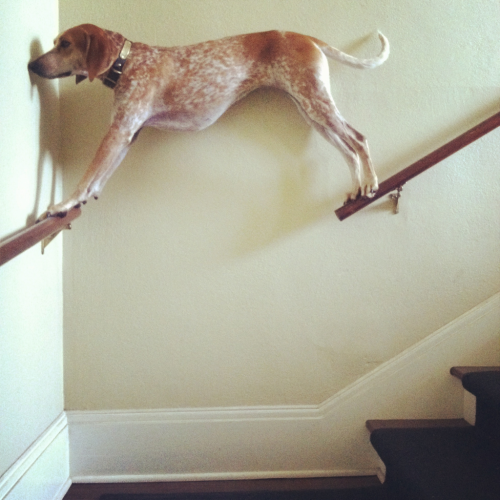 This dog who somehow ended up in this unusual predicament. This dog who ate the remote control, and doesn't care who knows it. ...and this dog who isn't slick at all. 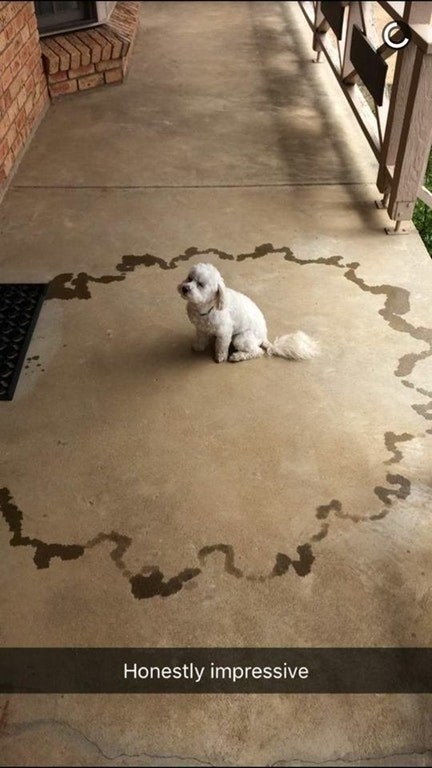 This dog who ran away from home, forcing his owner to go on a search for HOURS...only to come home and find this. These two dogs who have resorted to middle school bullying tactics on one of their own. And finally, there's this dog, who might actually be a criminal mastermind.